Convert, download, burn, edit, record, play videos in over 1000 formats! With just a click, you're enabled to download or record your favourite videos from many popular online sites like YouTube, Dailymotion etc. and enjoy them anytime – without an Internet connection. Or convert them to user-friendly format for watching on your TV, smartphone or another device. 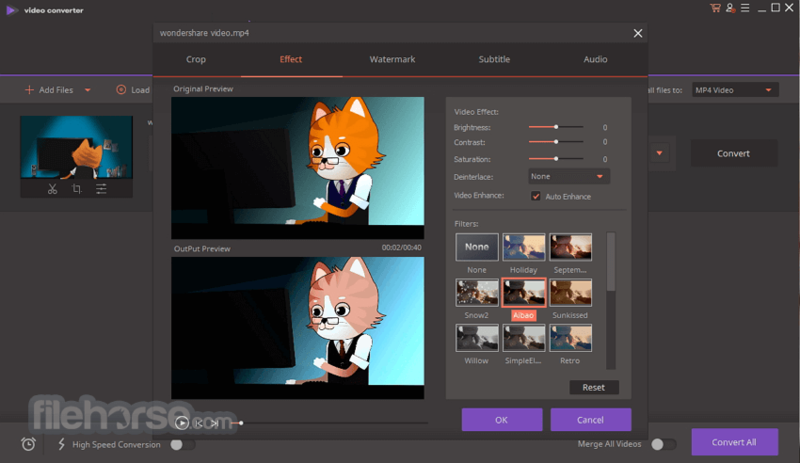 Create the perfect home movie with this powerful editing software! This ultimate video converter is also a powerful all-in-one DVD toolkit, you can copy and convert your home DVD, edit DVD files and burn DVD discs in just a few clicks. Want to enjoy videos on different devices? Wondershare Video Converter Ultimate helps you convert videos for any device, no matter you have Apple device, Android device, Sony PSP or other consoles. Powered by the exclusive and industry-leading APEXTRANS™ technology, Wondershare Video Converter Ultimate converts videos up to 30 times faster than any other converters, without any loss of quality. You'll be amazed when you see it in action! Download videos from YouTube and many other popular sites, including but not limited to Dailymotion, Hulu, Break, Metacafe, BlipTV, Vimeo, AOL, Lynda etc. In addition, you are able to download YouTube to MP3 directly or download YouTube playlists in batches at high speed. Downloading subtitles from Youtube is also available. With the built-in video recorder, Wondershare Video Converter Ultimate helps you record online streaming videos from Netflix, Hulu etc. Besides, if you intend to record Skype calls for playback, create tutorial videos or capture your splendid game moments, the perfect toolbox will acheive it without any hassle. 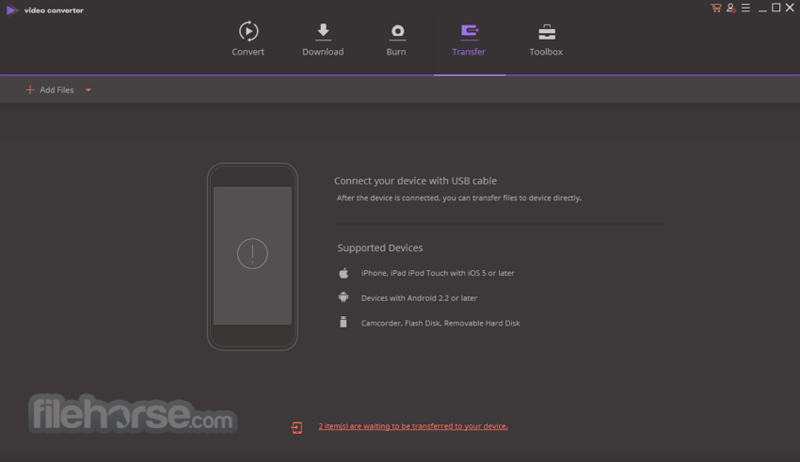 Wondershare Video Converter Ultimate streams the media files on your computer to a smart TV directly or to a standard TV via media streamers like Chromecast ,Roku, Apple TV, Xbox 360 or PS3 (Your PC, smart TV or media streamer should be in the same network). All video and audio formats are supported. The perfect built-in DLNA support makes your media decent on all DLNA certified devices and mobile apps. Your computer’s files can be accessible on all kinds of platforms like phones, tablets, TVs and more. Note: In demo version, a watermark will be displayed on the output video files.